Women who have a non-identical twin brother are more likely to drop out of school or higher education than women who have a twin sister. These outcomes may be related to higher levels of testosterone in the uterus from their sibling. Animal studies have shown that testosterone can transfer between fetuses in the uterus and result in developmental changes. Male fetuses are already exposed to oestrogen from their mother, but female fetuses would experience high levels of testosterone only if they shared a uterus with a brother. Krzysztof Karbownik at Emory University in Atlanta, Georgia, and his colleagues analysed data on births in Norway between 1967 and 1978, which included 13,800 twins out of a total of around 729,000 children born. They included long-term data on the twins’ education and earnings, and found that in each category women who had a male twin scored lower than those who had a female twin. They also had fewer children. The women had a 15.2 per cent higher probability of dropping out of school, a 3.9 per cent lower likelihood of graduating university and had 5.8 per cent fewer children, on average, compared with women who have a female twin. 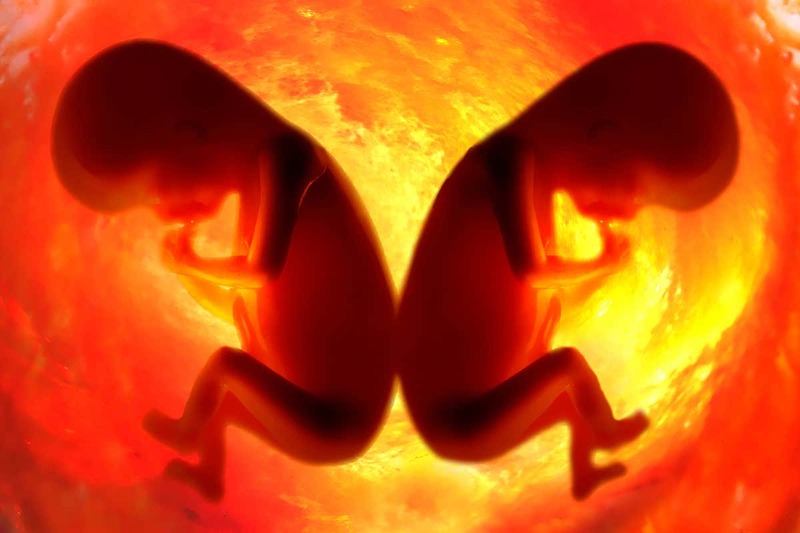 The results didn’t carry over to men – those with twin sisters had similar long-term outcomes as those with twin brothers. These results are consistent with a previous study of historical records in Finland that found similar reductions in fertility rates among women with twin brothers. “They were able to adjust for many other important confounding factors that we had no access to using historical records, such as birth weight and size difference at birth,” says Virpi Lummaa at the University of Turku in Finland, author of that study. It is interesting that the latest results are in line with the data in Finland, she says, which stretch back 200 years to when society and living conditions were drastically different. “It really increases my confidence that what we are seeing is prenatal effects of some sort,” she says. Previous studies have shown a correlation between prenatal testosterone and increased levels of aggression and competition in girls with male twins, meaning the results could be due to growing up with a twin brother, rather than sharing a uterus. “The major confounding factor is they’re not only gestating with a male but being raised with a male,” says Karbownik. But he and his colleagues accounted for that by comparing their findings with girls who had a twin brother who died in the first year of life. The long-term effects for those women were similar to those whose twin survived. When Karbownik and his team looked at girls with twin brothers who died within their first month, they saw similar trends, though the size of the effect was smaller.